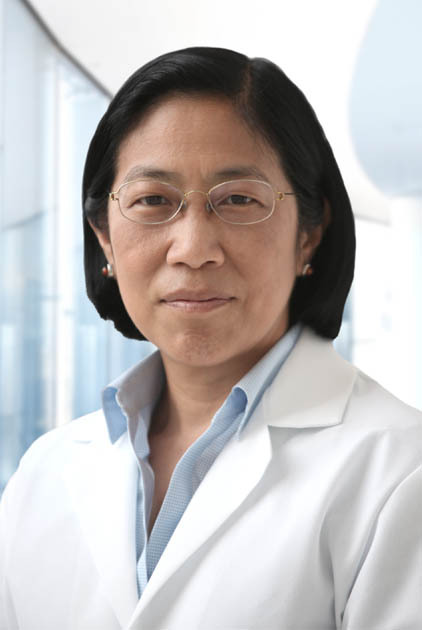 Rebecca T. Hahn, MD, is the director of interventional echocardiography at NewYork-Presbyterian/ Columbia University Medical Center and is a professor of clinical medicine at Columbia College of Physicians and Surgeons. Dr. Hahn is board certified in cardiovascular disease, internal medicine, echocardiography, and specializes in cardiac ultrasound and echocardiography. Her clinical interests include valvular heart disease, adult congenital heart disease, and heart disease in pregnancy. Dr. Hahn attended Washington University School of Medicine in St. Louis and completed her residency in internal medicine, fellowship in cardiology, and research fellowship in cardiology at NewYork-Presbyterian Hospital/Weill Cornell Medical Center. Dr. Hahn is currently the National PI for the SCOUT clinical trial, an early feasability study examining a percutaneous tricuspid valve annuloplasty system. Echocardiographic Imaging of Procedural Complications During Self-Expandable Transcatheter Aortic Valve Replacement. Hahn RT1, Gillam LD2, Little SH3. Echocardiographic Imaging of Procedural Complications During Balloon-Expandable Transcatheter Aortic Valve Replacement. Hahn RT1, Kodali S2, Tuzcu EM3, Leon MB2, Kapadia S3, Gopal D4, Lerakis S5, Lindman BR6, Wang Z7, Webb J8, Thourani VH5, Douglas PS9. Recommendations for Comprehensive Intraprocedural Echocardiographic Imaging During TAVR. Hahn RT1, Little SH2, Monaghan MJ3, Kodali SK4, Williams M5, Leon MB4, Gillam LD6. Assessment of paravalvular aortic regurgitation after transcatheter aortic valve replacement: intra-core laboratory variability. Hahn RT1, Pibarot P2, Weissman NJ3, Rodriguez L4, Jaber WA4. Outcomes with post-dilation following transcatheter aortic valve replacement: the PARTNER I trial (placement of aortic transcatheter valve). Downregulation of the glucocorticoid-induced leucine zipper (GILZ) promotes vascular inflammation. Hahn RT1, Hoppstadter J1, Hirschfelder K1, Hachenthal N1, Diesel B1, Kessler SM1, Huwer H2, Kiemer AK3. Paravalvular regurgitation following transcutaneous aortic valve replacement: predictors and clinical significance. Hahn RT, Kodali S, Genereux P, Leon M.
Guidelines for performing a comprehensive transesophageal echocardiographic examination: recommendations from the American Society of Echocardiography and the Society of Cardiovascular Anesthesiologists. Hahn RT1, Abraham T, Adams MS, Bruce CJ, Glas KE, Lang RM, Reeves ST, Shanewise JS, Siu SC, Stewart W, Picard MH; American Society of Echocardiography; Society of Cardiovascular Anesthesiologists. Guidance of transcatheter aortic valve replacement by echocardiography. Predicting paravalvular regurgitation following transcatheter valve replacement: utility of a novel method for three-dimensional echocardiographic measurements of the aortic annulus. Hahn RT1, Khalique O, Williams MR, Koss E, Paradis JM, Daneault B, Kirtane AJ, George I, Leon MB, Kodali S.
Use of imaging for procedural guidance during transcatheter aortic valve replacement. Should echocardiographers embrace the FOCUS examination?